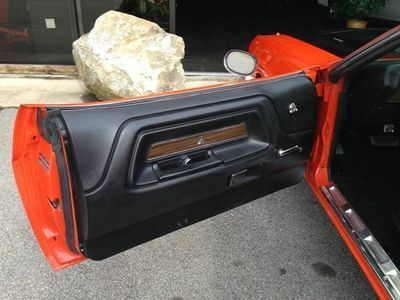 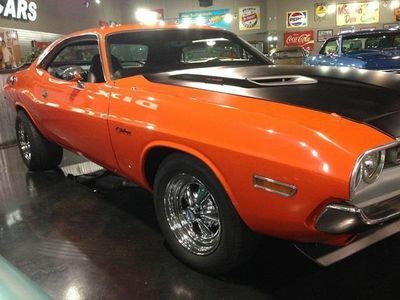 Owning a 1971 Challenger 440 has been the dream of many, but finding one in this good of condition isn't always easy. 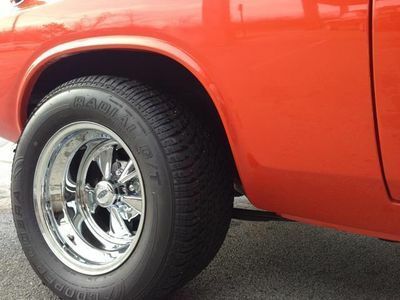 Jacked up in the back with big tires! 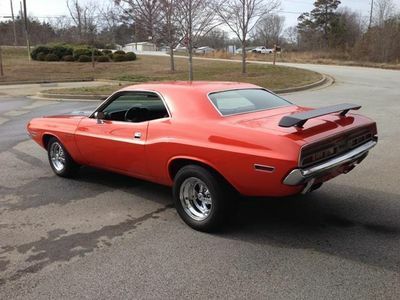 This one has the "LOOK" of back in the day! 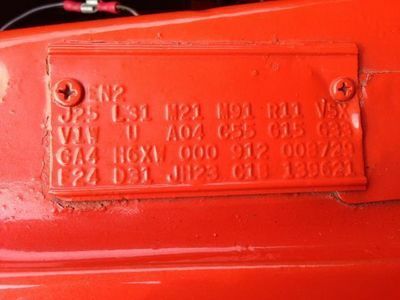 She may not have come from the factory with a Big Block, but she is one now! 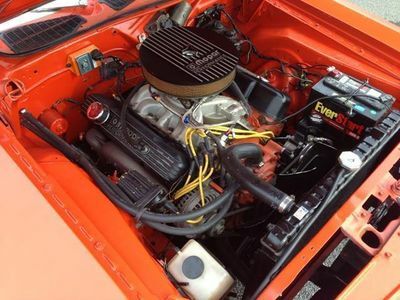 Her bright "Street Hemi" Orange, cast iron, Classic 440 V8 engine has been Freshly Rebuilt with a COMP Cam, Stock Heads, New Springs and New Valves. 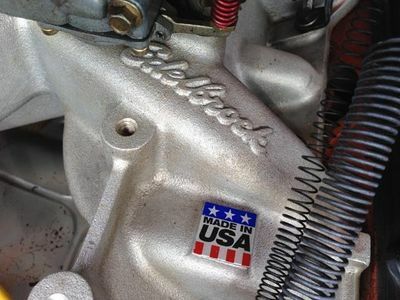 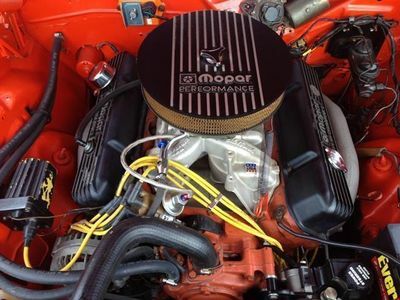 Under the Mopar Performance Cast Aluminum open element air cleaner, a Holley 750cfm 4 barrel carburetor feeds fuel through an Edelbrock Performer RPM, dual plane, aluminum intake manifold. 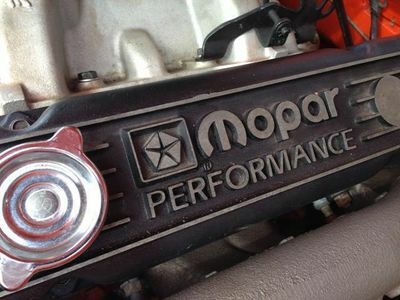 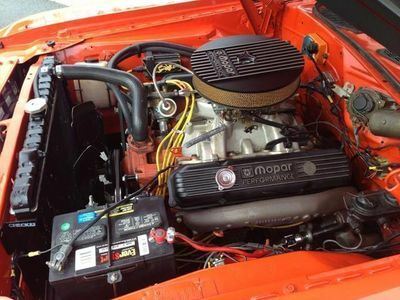 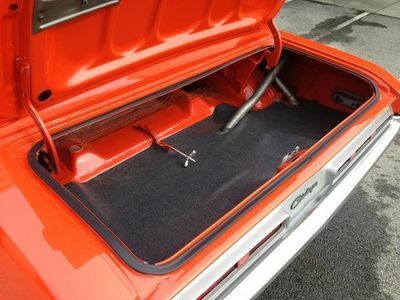 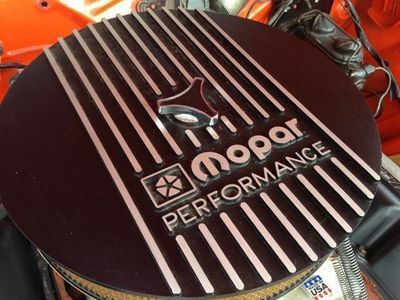 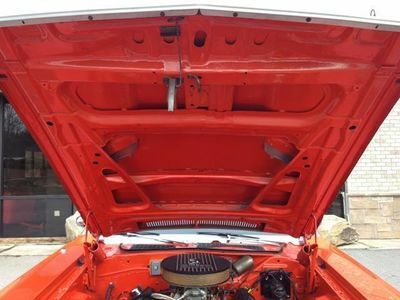 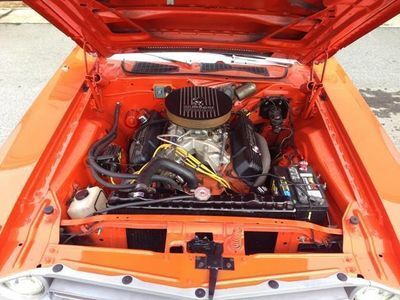 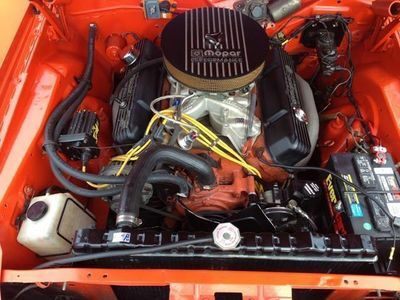 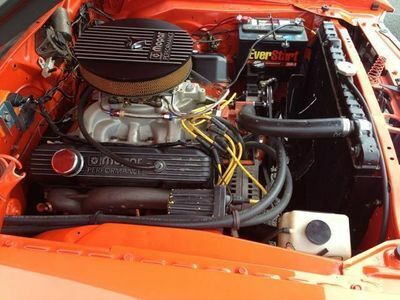 At the sides, her cast iron exhaust manifolds and cylinder heads, with traditional Mopar Performance wrinkle finish valve covers, give her engine bay a Mopar-Tough, All-Business look. 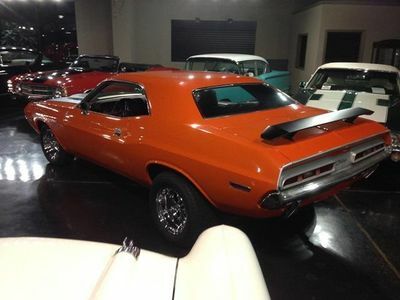 Mated to this V8 is a Legendary 727 Torqueflite, 3-Speed, Automatic Transmission. 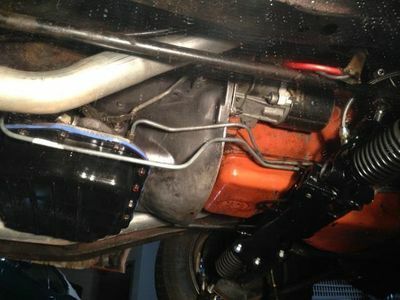 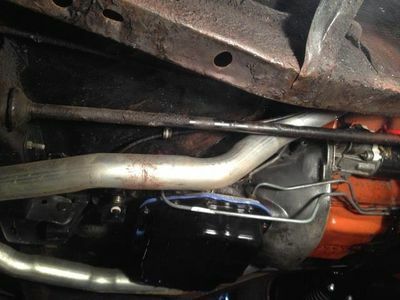 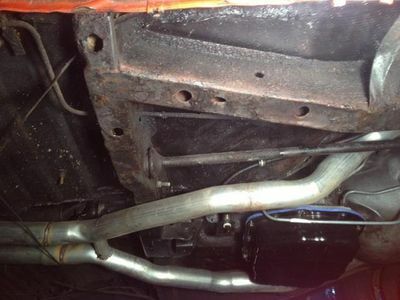 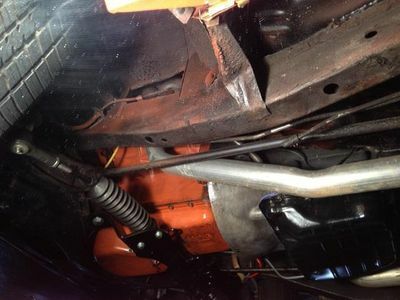 Her Torqueflite has been freshly rebuilt and includes a Shift Kit and a 2,500 Stall Converter. 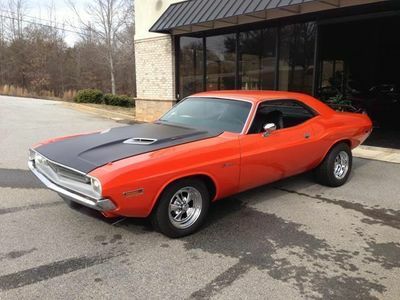 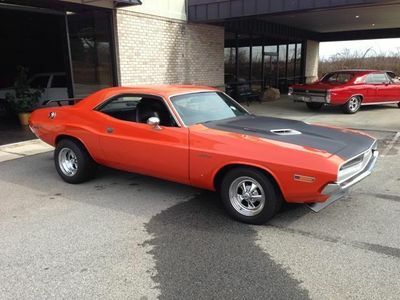 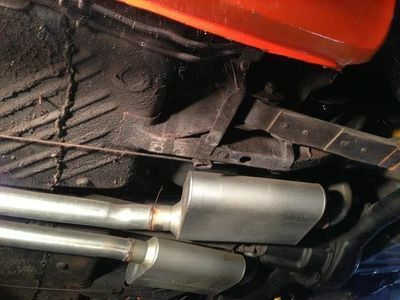 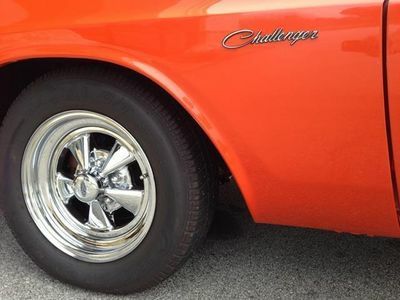 Yes, she has Classic Challenger Power and with her updated Exhaust System she also has that Rumbling Muscle Car Sound! 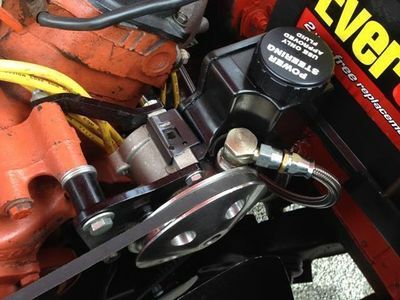 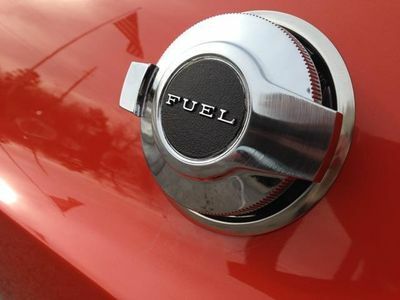 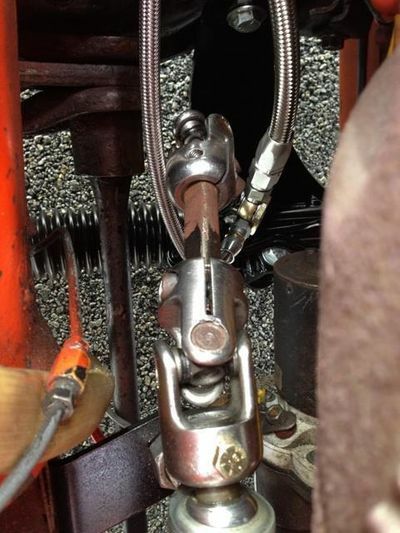 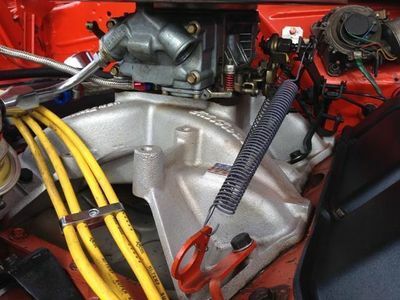 Turn her key and an Accel coil sends fire to an Electronic Mopar Performance Vacuum Advance distributor which channels that spark through Yellow Accel 8mm wires. 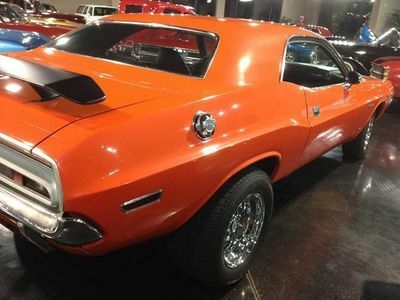 The beast fires up with a roar and sounds tough through her updated Exhaust system starting with New 440 Magnum- High Performance, Exhaust Manifolds connecting to 2.5" dual pipes leading to Flowmaster series 40 mufflers and ends with Polished Stainless dual exhaust tips. 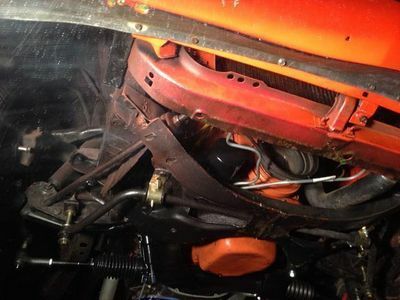 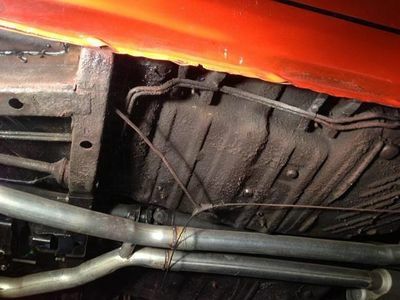 Her bay looks less modified than it actually is thanks to the presence of pieces such as the orange Mopar ignition controller, factory style voltage regulator and stock wiper motor attached to the firewall. 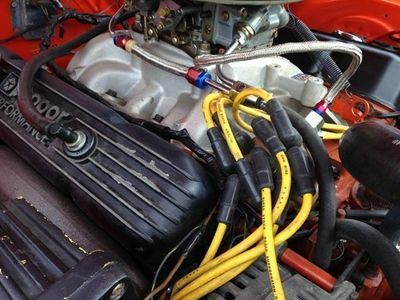 If Shiny Chrome and Braided Hoses is what you want, then this is not the car for you. 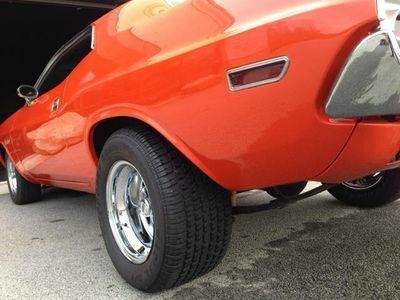 If the "Serious, No-Frills just Power" look is what revs you up, this is your lucky day. 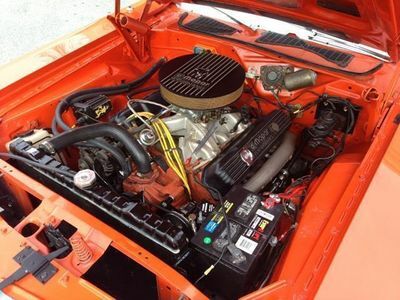 Rev her up and listen to that Growl. 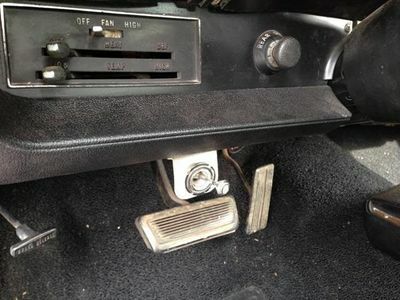 Your fun has already begun and you haven't even shifted her out of Park! 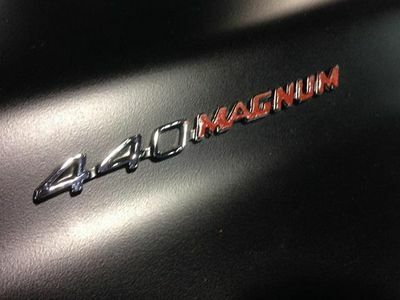 Driving this machine is exhilarating to say the least. 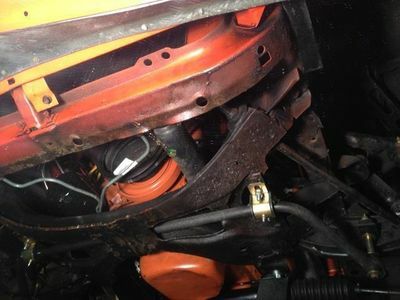 Her handling is better than new with a Unisteer Big Block Power Rack & Pinion Kit installed and upgraded front disc brakes. 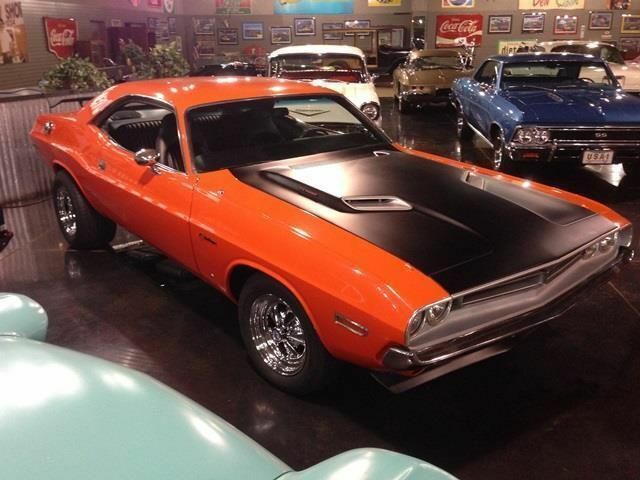 Power, Performance, and Handling upgrades have transformed this Challenger into a formidable Mopar Muscle Car. 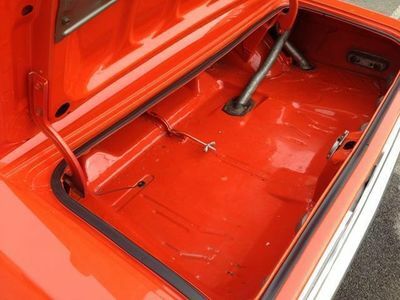 This E-body car is uni-body based, with a front sub-frame comprised of two side rails and three cross members. 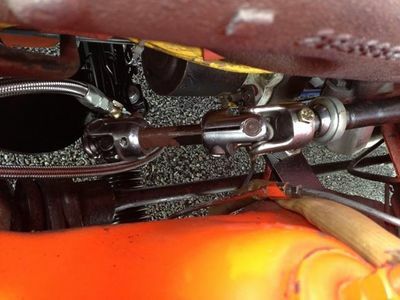 Her center cross-member in the sub-frame is called the K-member and it supports the engine and the front suspension. 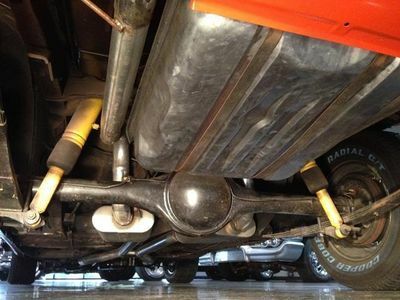 Her front suspension uses upper and lower control arms with Torsion Bars acting as springs and gas shock absorbers. 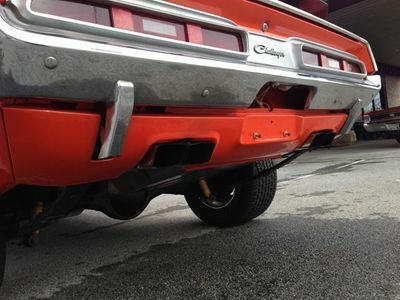 In the rear, she has Max Air Monroe Shocks and factory style semi-elliptical, multi-leaf springs. 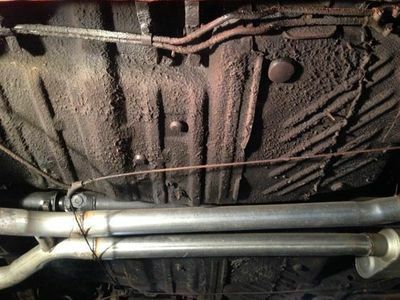 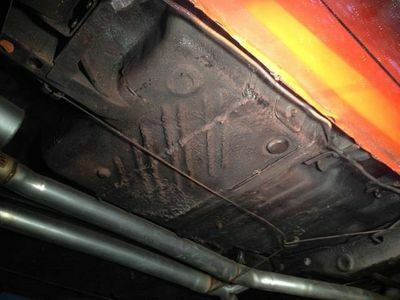 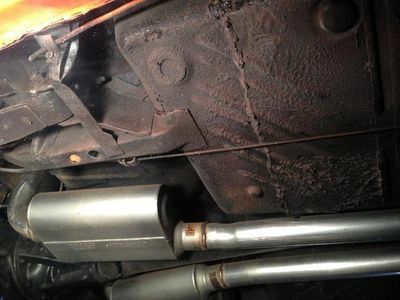 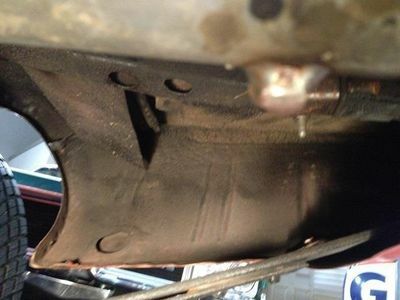 Her well-built chassis is strong, her undercarriage is coated, and her floorpans are solid. 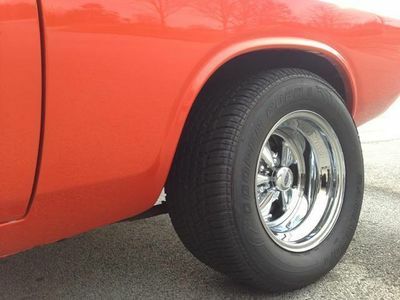 Her Cooper Cobra G/T tires are mounted on New CRAGAR Super Sport Chrome Wheels for that Classic Muscle Car look. 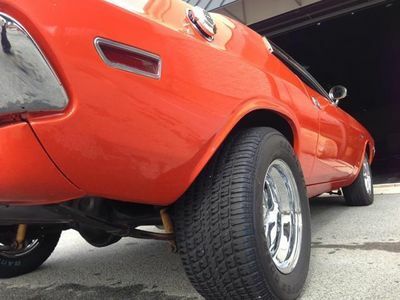 Notice how her raked stance creates a visual display of Power and Speed even while she is standing still. 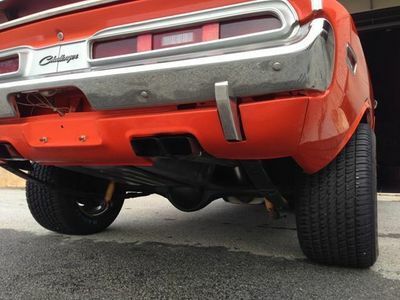 Her stance is necessary to accommodate her wide 105S P295/50R15 rear tires. 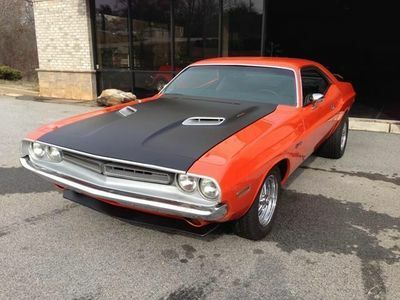 Yes, Sir! 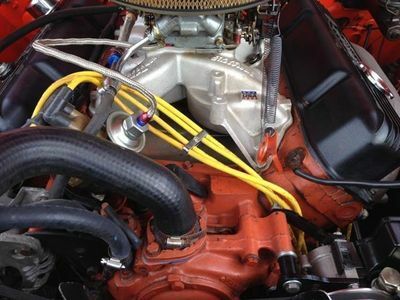 This baby grabs the road and squeezes out every ounce of torque her 440 pumps out. 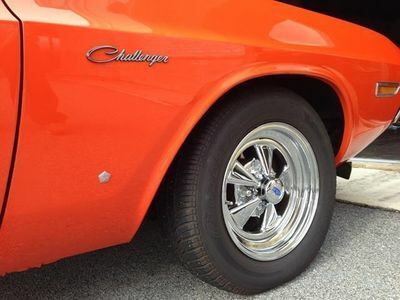 Her new chrome flip gas cap, original door handles, drip rail and window bright trim, chrome sport mirrors and chrome wheels perfectly accent her slick orange body. 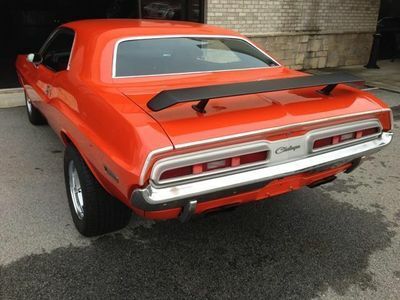 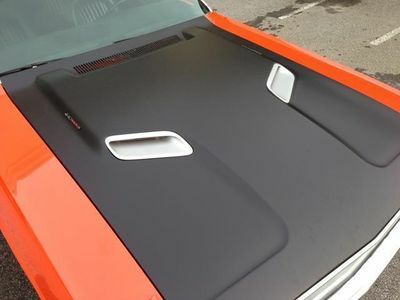 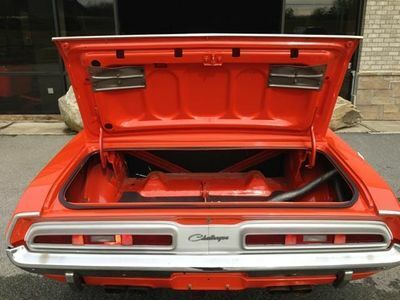 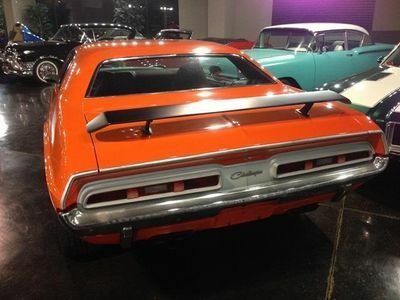 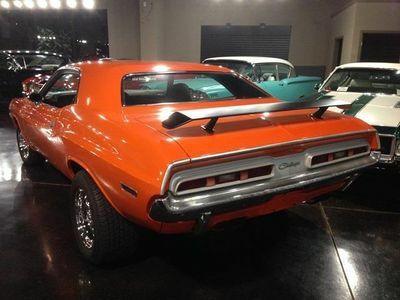 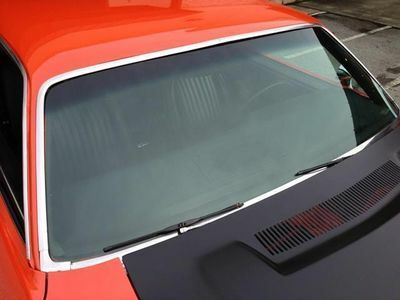 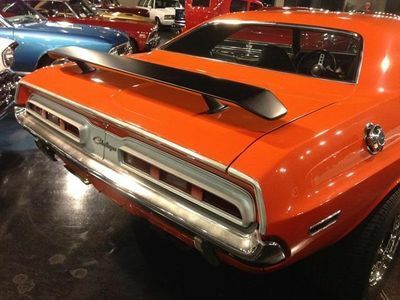 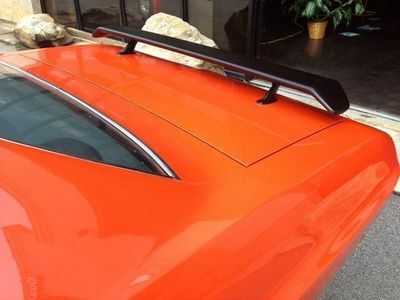 Step to the rear of this Challenger and find her original rear valance, split tail lights and rear bumper with bumper guards below her new "Go Wing" spoiler. 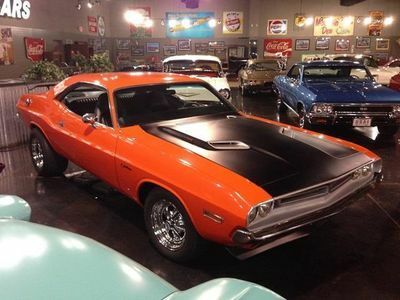 This Challenger presents an aggressive exterior with a robust powertrain to create a timeless muscle car with endless appeal. 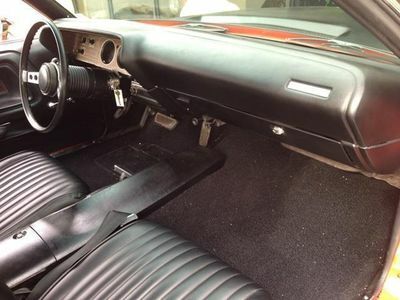 Her "No-Frills" Restoration carries over to her Interior which has been redone in a simplistic and functional stock black H6X9 style. 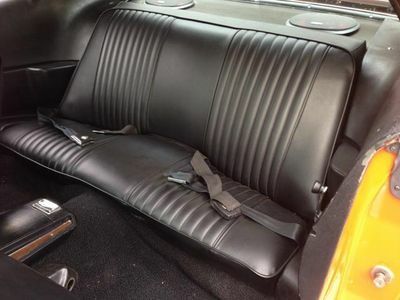 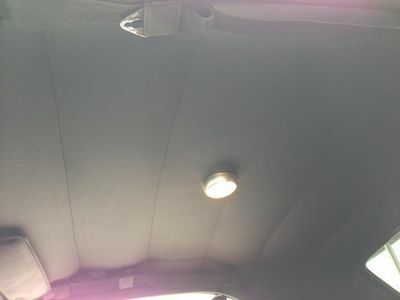 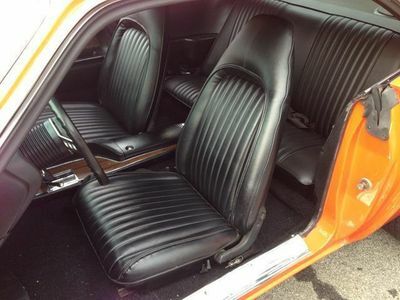 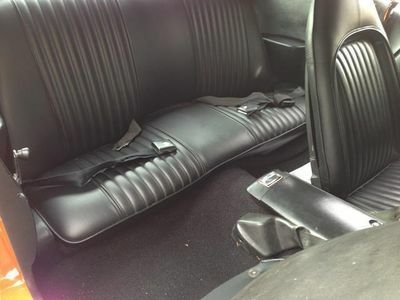 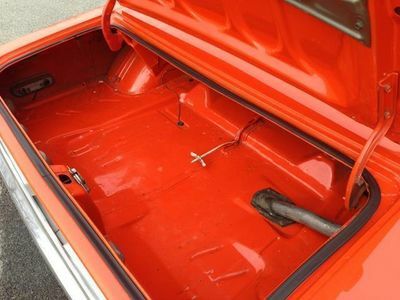 Interior parts replaced include: front and rear seat upholstery, carpet, front and rear door panels, armrest pads, seat backs, kick panels and pillar post moldings, and dashpad cover. 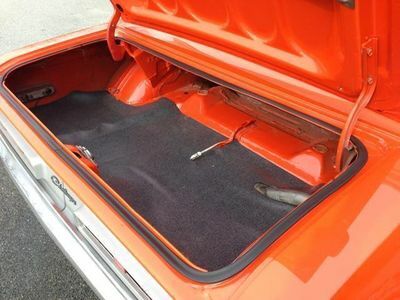 Under her new black carpet is sound deadening material. 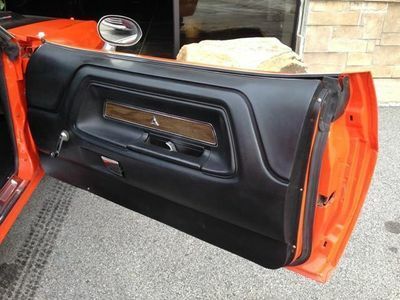 Her door handles, window cranks, Day/Night Rearview Mirror and Dual Remote Side View Mirrors are stock. 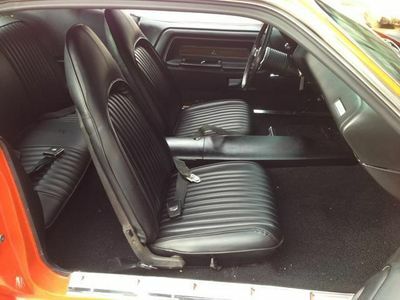 Her stock high-back bucket seats with molded-in headrests are comfortable and secure with stock style lap belts and optional shoulder belts for the driver and front passenger. 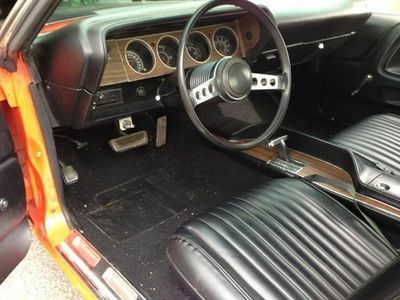 Between the front seats, a full center console with locking storage compartment frames a period- correct T-handle shifter protected by a barrier of bright trimmed wood applique. 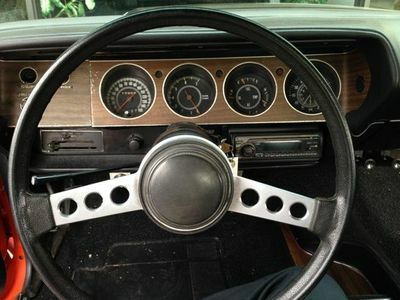 The Dodge 2-Spoke steering wheel with padded rim looks good in front of her Rallye Dash. 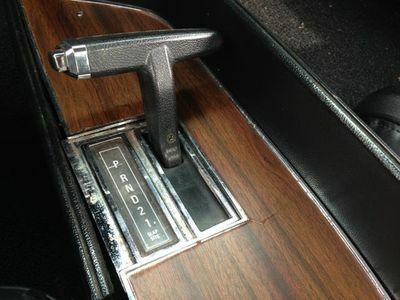 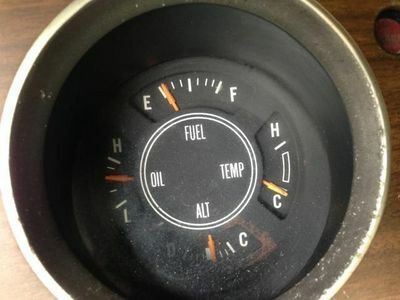 The stock Rallye instrument cluster with Woodgrain Dash Panel, Fuel Gauge, Oil Pressure Gauge, Water Temperature Gauge, Amp Gauge, Trip Meter, Odometer, Clock, Tachometer and 150 MPH Speedometer is from a later model Challenger. 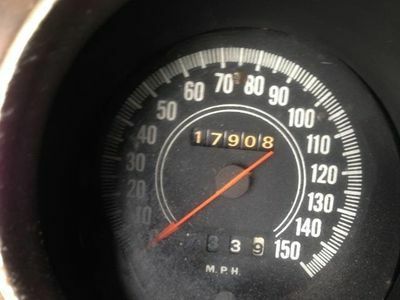 Her clock and tachometer are not working at this time. 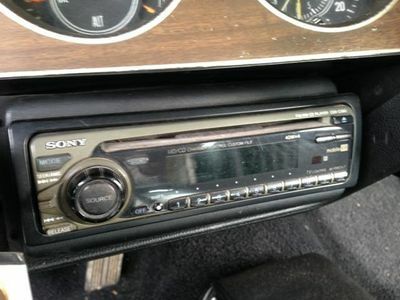 A modern Sony 40Wx4 FM/AM CD Player with digital display and removable face is affixed under the dash with Pioneer speakers in the rear package shelf, so you can cruise with your favorite tunes! 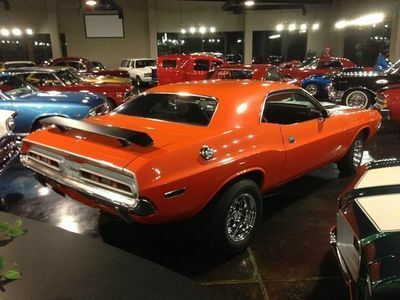 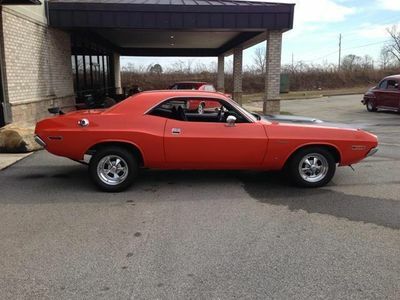 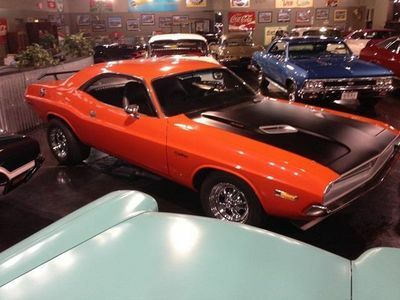 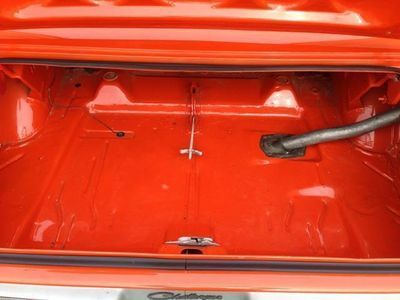 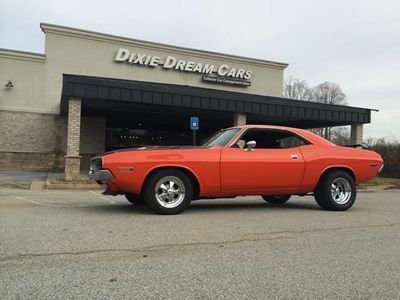 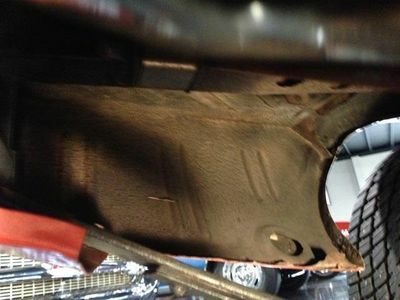 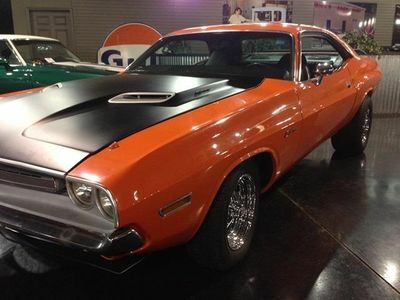 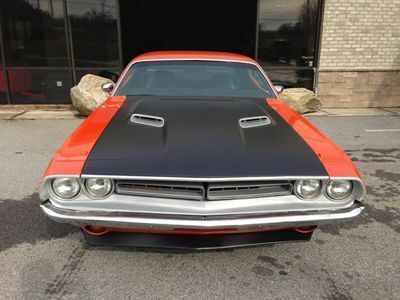 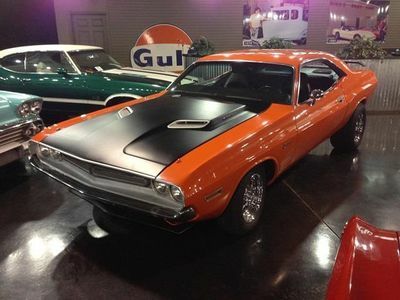 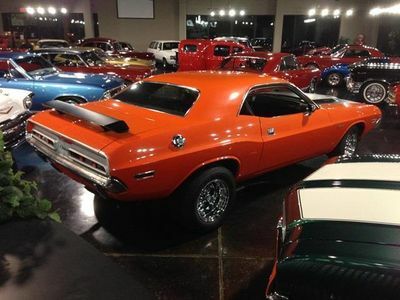 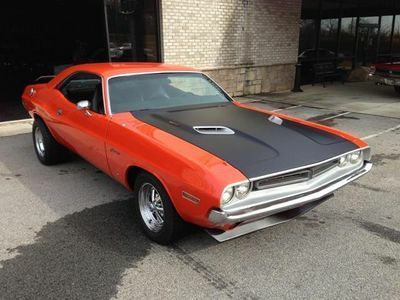 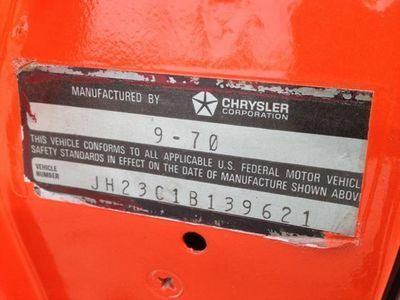 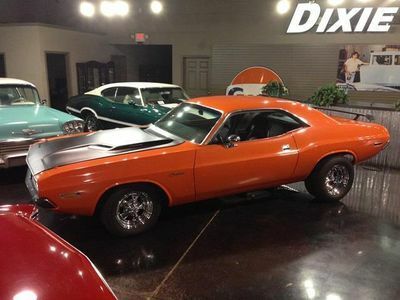 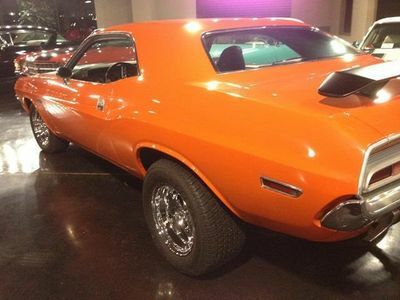 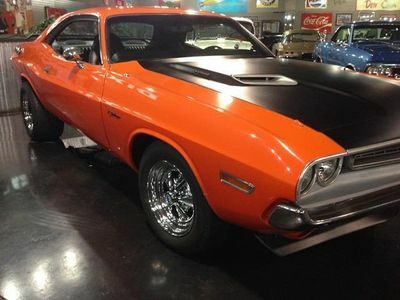 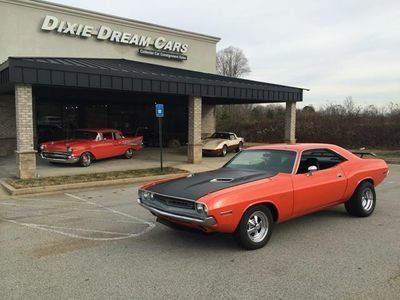 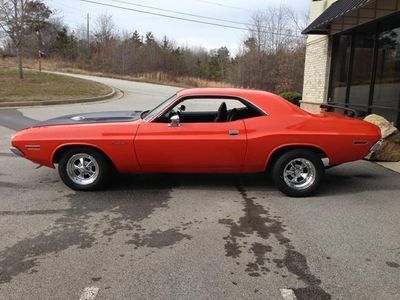 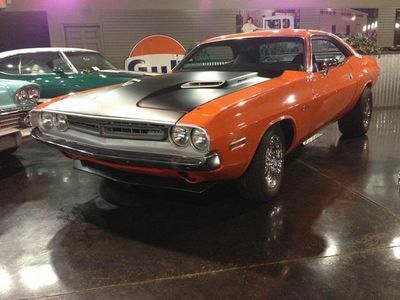 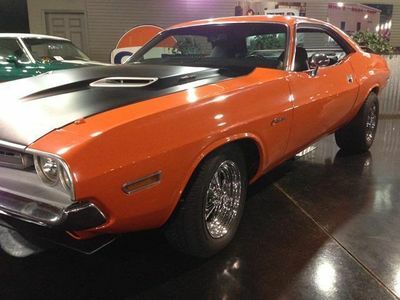 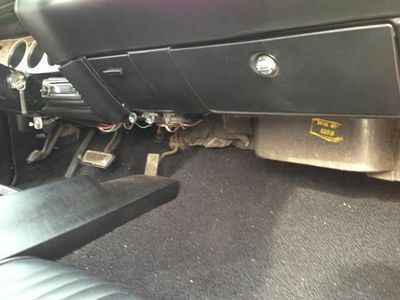 - Axle - Chrysler - 8 3/4 - #2070741 - "Banjo"
Call, Text, email or just Come By Today and we will help make your dream of owning this 1971 Dodge Challenger a reality.